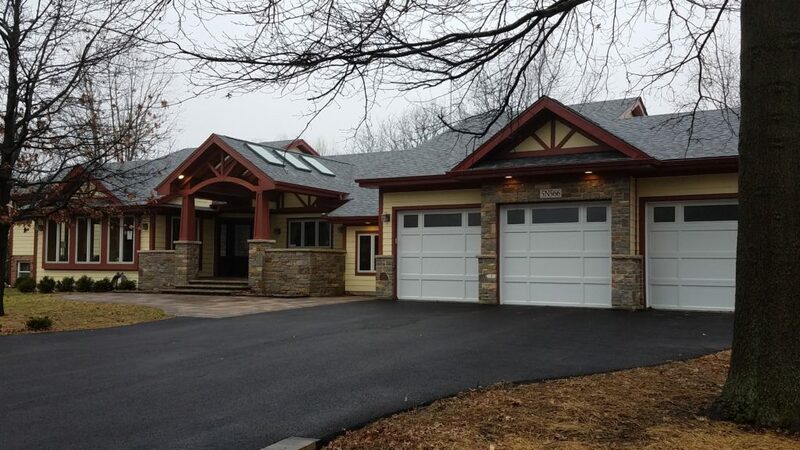 This house underwent a total transformation when adding a new garage and family room! 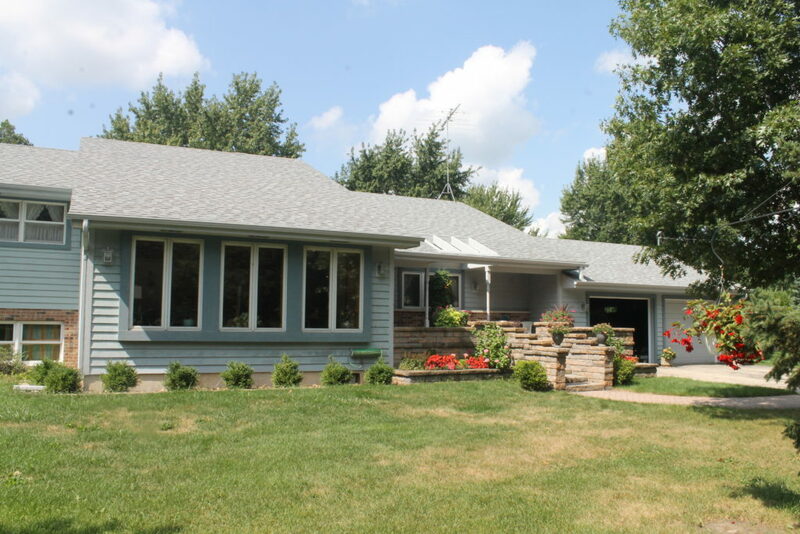 We enjoy when we can change the appearance of a house and make it more family friendly. 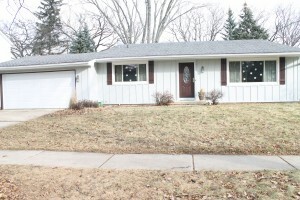 The total transformation on this house even threw off some family members who had not visited this house for some time. They drove right past it, even though they had visited many times. Over time the house had undergone a number of additions, but this one seemed to tie everything together. We added a family room in the back of the house. Took over much of the space of the existing garage and then added a new three car garage. We installed a full foundation under the new space and broke through so that the basement now has “cold storage”. The front porch got a new look along with all of the stone being replaced. This project took a number of months as it was almost like building a new house. Take a look at the after pictures. 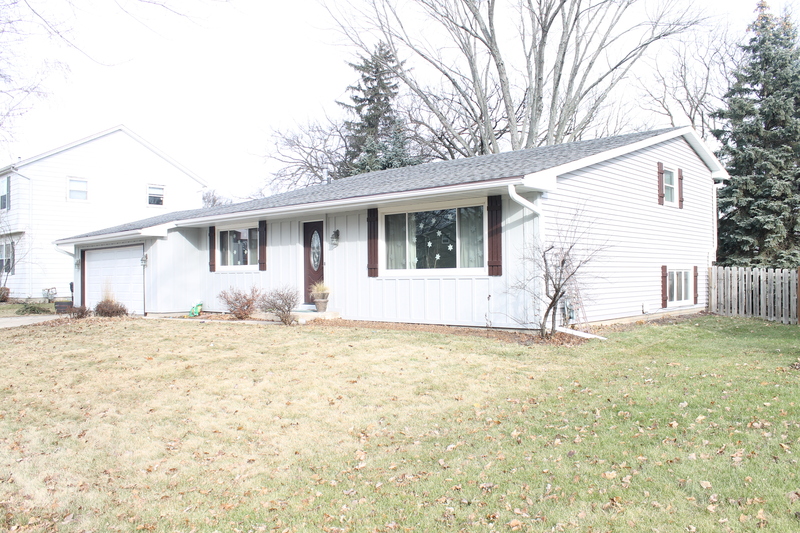 Check back soon for another article showing the inside additions, like a zero depth shower in the addition’s bathroom. 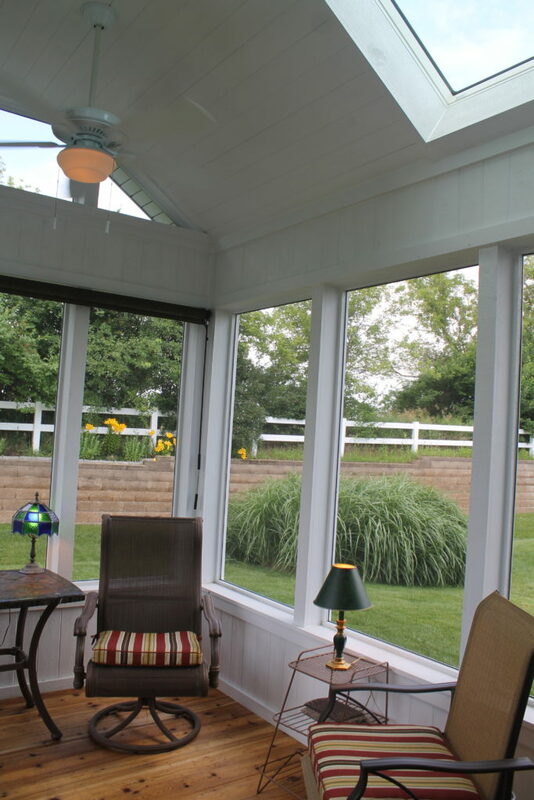 Adding a screen porch brings the outdoors in! When you downsize, like many seniors do who move to a 55 plus community, you may give up square footage or yard space. 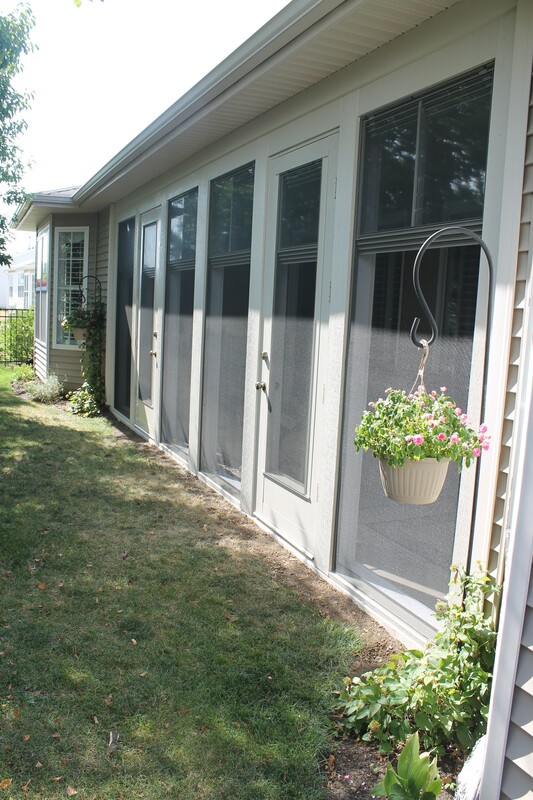 Taking advantage of adding on a screen porch or enclosing a patio helps add space to your home and can bring that outdoor feel security from flying and crawling bugs. 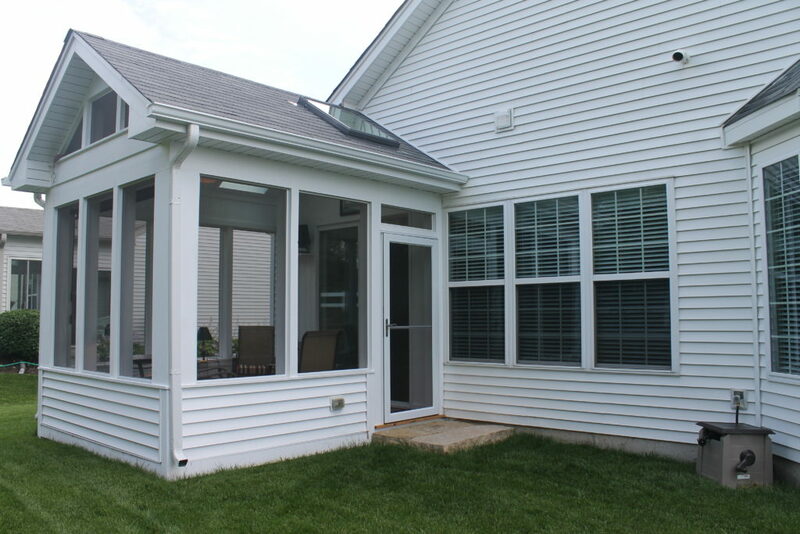 One of our customers decided to add an addition on to his 55 plus community home by having us build a screen porch over the concrete patio that was originally built with the house. We did a bit more than just add a a roof and walls. 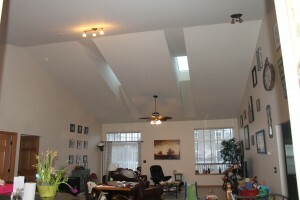 In the roof of the screen porch were two sky lights to let light into the kitchen area. He didn’t need a three season area, so the windows are just screens. We added electrical into the knee walls to allow light fixtures or any variety of items to be plugged in. On the floor, we laid furring strips and added cedar boards that were just covered with a clear finish. This allowed for the water to escape when it rained. The homeowner wanted a ceiling fan to help circulate air. He added some roller shades to block the heat of the summer sun and some outdoor speakers. All in all, this is a great use of space and only increased the original foot print by the size of the post holes to support the roof. The homeowner was thrilled with his addition and spends many hours outside reading or talking with friends and neighbors. If you would like to speak with us about adding some outdoor living space to your home, we have options for you to have a three season space. 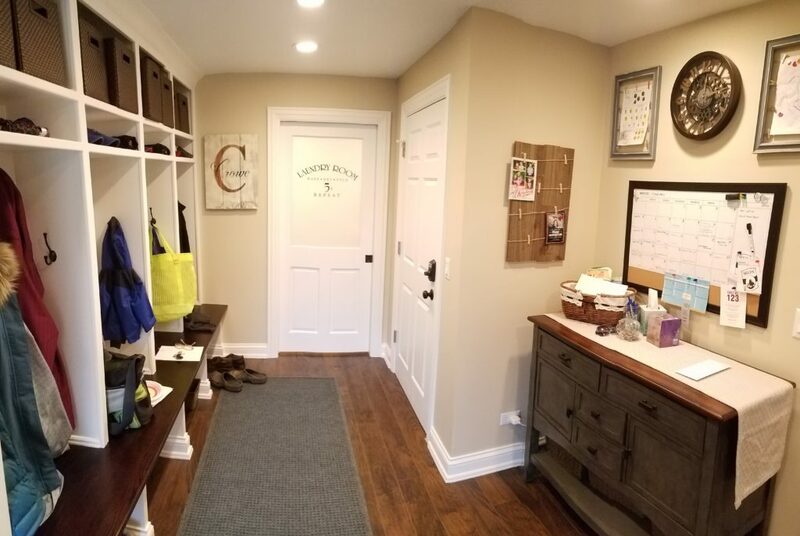 If you have a boys or a quad runner, you may noticed that your garage stall may have become a mudroom, but this mudroom sure isn’t very muddy right now. 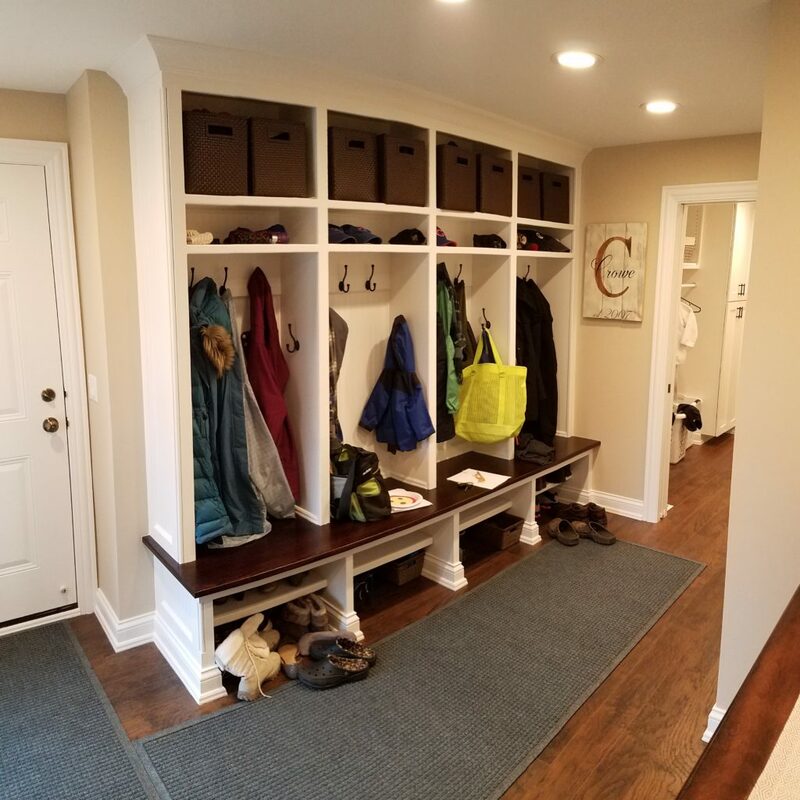 We were approached by an active family with two small boys to turn an inside extension of their garage into a mudroom and laundry space. The garage door was only for two cars, but the space inside was big enough for three. This gave us a great space to turn a collection area into a very functional conditioned space. 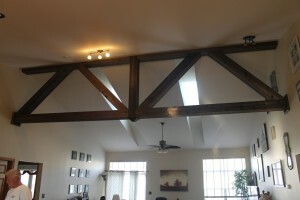 We built walls on top of a joist system that was one step down from the existing floor. Because the garage floor was a couple of steps lower than the house, we didn’t lose headroom for the mudroom area. We insulated all around, cut through the foundation to run all the mechanicals to the space, and then drywalled. The homeowners supplied some sweat equity by installing the tile. 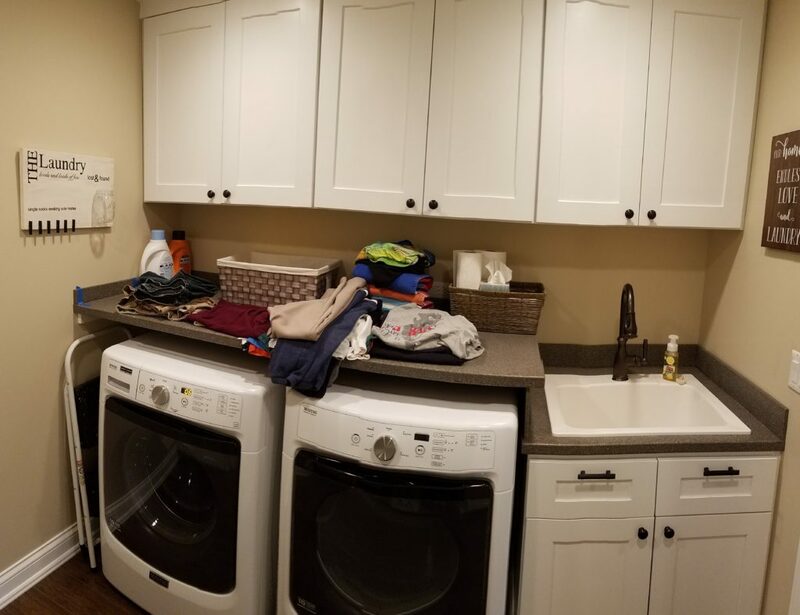 We ordered some cabinets, built some lockers, got things painted and stained, installed oversized countertops over the washer and dryer, and badda bing badda boom, the family has some great space to come in to drop some books, coats and gear. AND if it is muddy, it can be thrown directly into the laundry space instead of having to track all the way through the rest of the house. 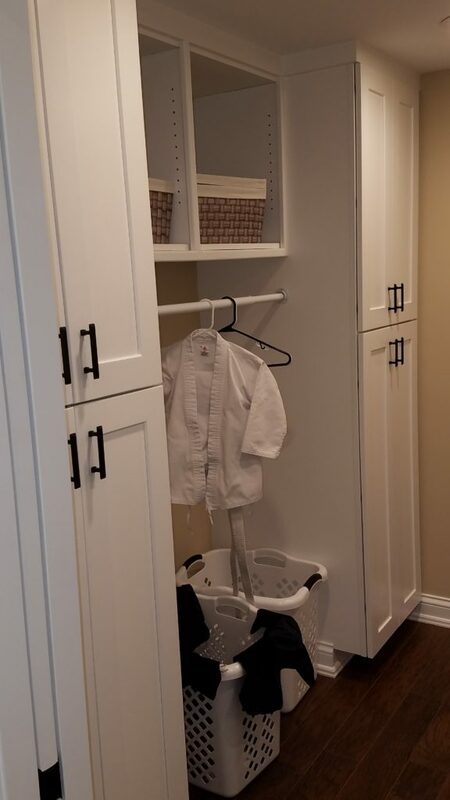 The pantry cabinets with hanging space between for hang drying special clothes. Take a look at a few of the pictures below. Getting Organized sometimes takes creativity! 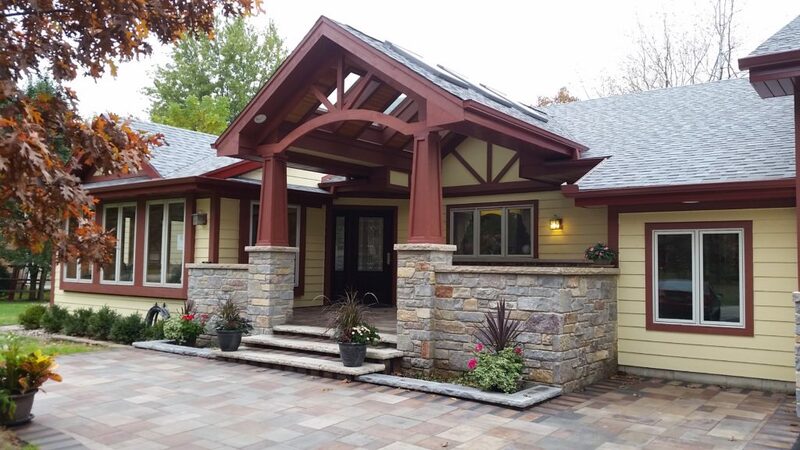 We build new houses, remodel existing houses, and add wonderful custom features to make your life easier. But what if something that big isn’t in your budget? Getting organized sometimes is more about using tools and gadgets to make your space more functional. Recently, I was inspired by a project we have underway. The family is turning a bedroom into a master closet. Personally, I don’t have that luxury as our master is on the first floor. I don’t want to have to climb the stairs every time I want to search for that “special piece” to go with an outfit, so I thought of something different. This idea may not be new and that different, but it sparked the thought that sometimes what you purchase for one use can be re-purposed for something different. Take this shoe organizer. I use one for shoes. I have also seen one used on the back of a bathroom door for brushes, hair accessories and other things that two teens sharing a bathroom might need. I used it in my space for all of the long scarves that are fashionable these days. 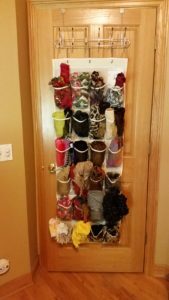 What other uses can you thing of for a shoe organizer? 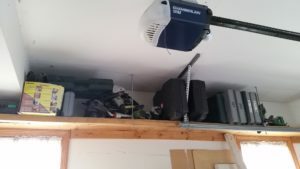 Do you have taller garage ceilings? Try adding shelves above the front end of your vehicles or along the side of your garage door rails. Sometimes you have to close the garage door to gain access. Take a look at this option. This did require some tools, sawing, and muscle, so, a project like this might not be a DIY. Give us a call if you need help. Now if you have room in your budget to add on a room addition, or remodel a bedroom into a closet, give us a call. We will be happy to look at your project! Why would you want to bring down the ceiling? Volume ceilings always make a space look very grand, as long as the volume is used in the right way. 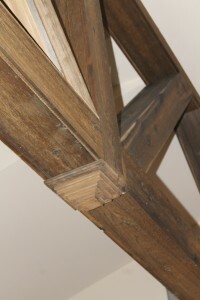 Two story great rooms were the rage for many years and are still a major design feature used by many architects. As you can see, there is just a large space with limited definition between the rooms. The homeowners wanted to create the appearance of exposed trusses to break the space. After doing some research on barn boards, we discovered another option that created a great rustic look and filled the space nicely. Plus, the limited length sizing on the barn boards meant we couldn’t bridge the distance between the walls without seams. We used raw cedar, stained with a vinegar and steel wool mixture. We created a screw paddle that we used to add “worm holes” to the boards. 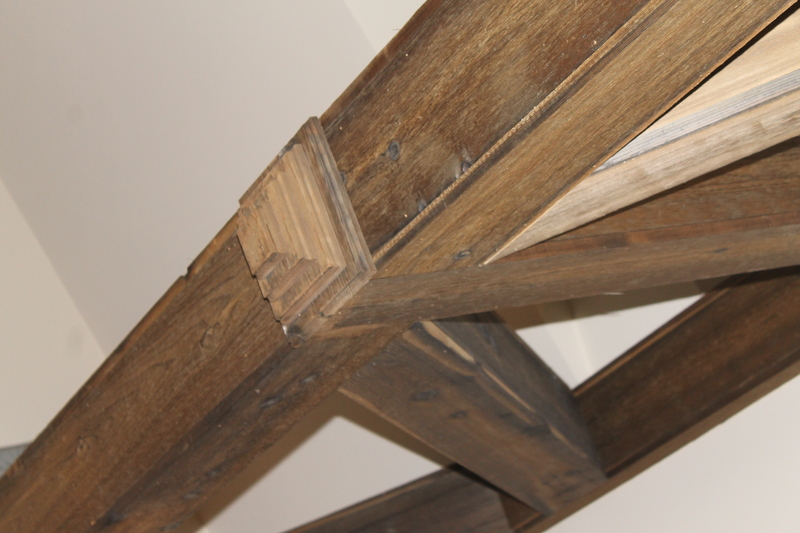 The overall effect provided a very rustic appearance. The homeowner was pleased with the final effect. Take a look at other interior trim projects that we have finished. Give us a call if you would like to discuss an idea for your home. How can a few simple updates change the curb appeal of your home? First off, if you cannot afford a major face-lift to your home, making a few simple updates can make a world of difference to the curb appeal of your home. 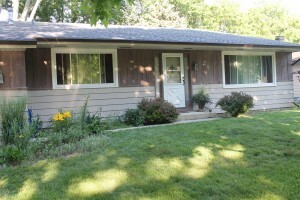 We have made significant changes to homes with a few of our projects. One added an entire second story, others may only add a wall where a door used to be. Whatever it is, if it will help your home look better as people approach it, your potential value could increase. 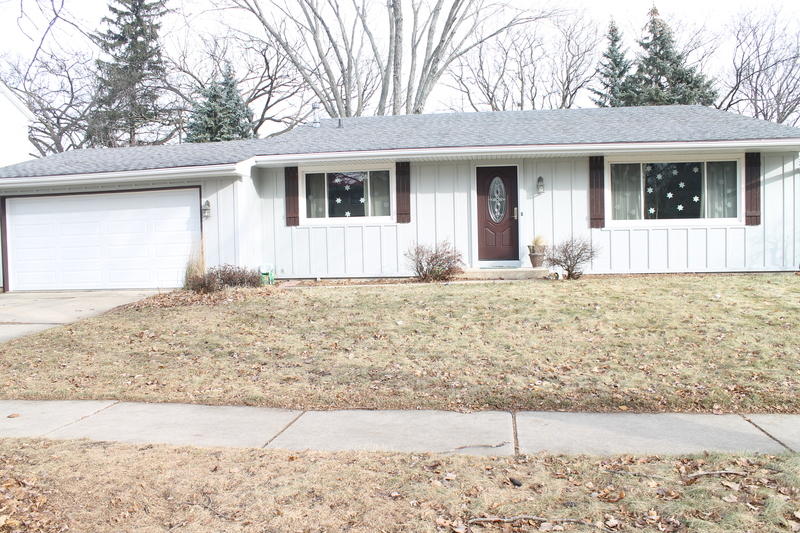 One update that we completed stripped the siding and changed the front door for a brand new appearance. 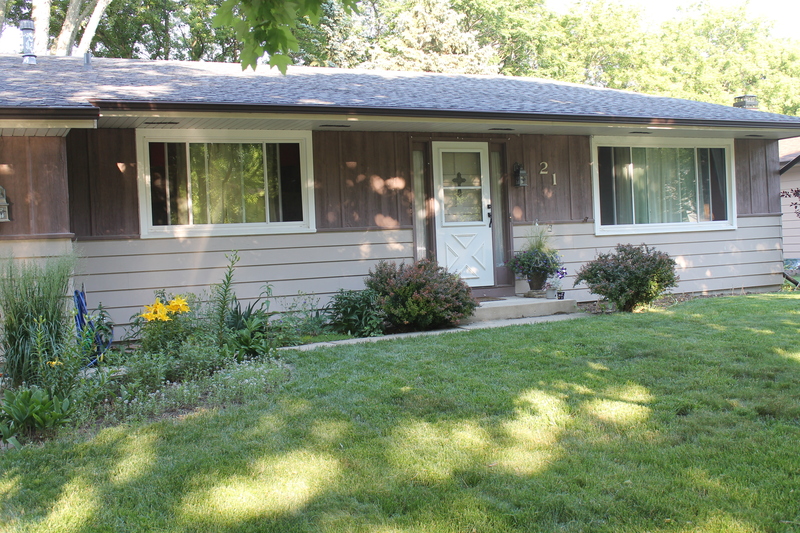 We removed the existing siding, changed out the front door, and added shutters all the way around the home. 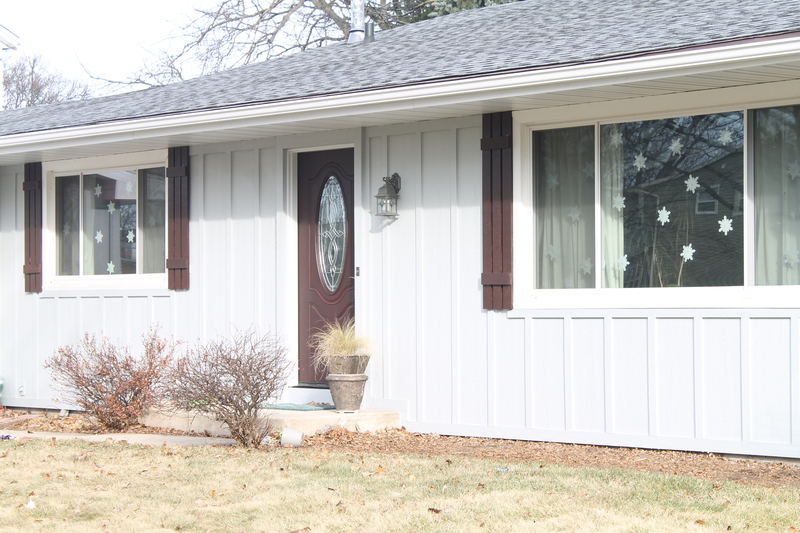 Only one other home in the neighborhood had the board and batten look, so we gave the home a unique appearance. 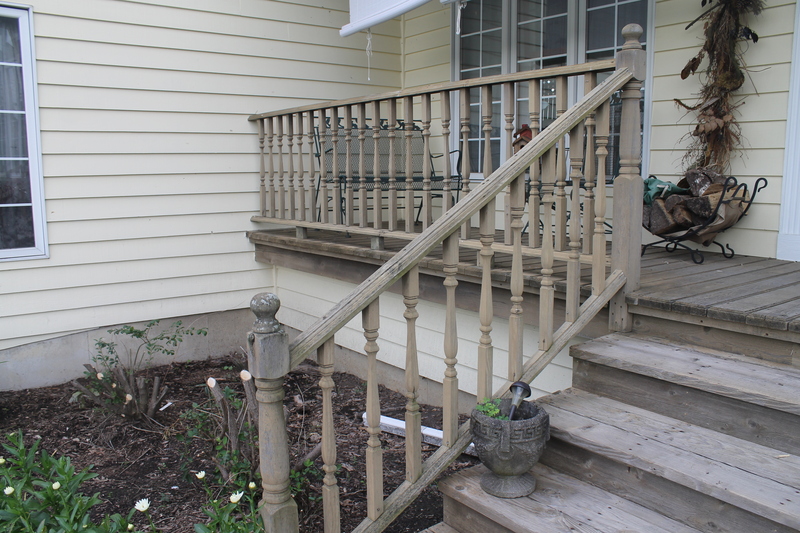 Another home just needed a new front porch rail system. We were in and out in one day! 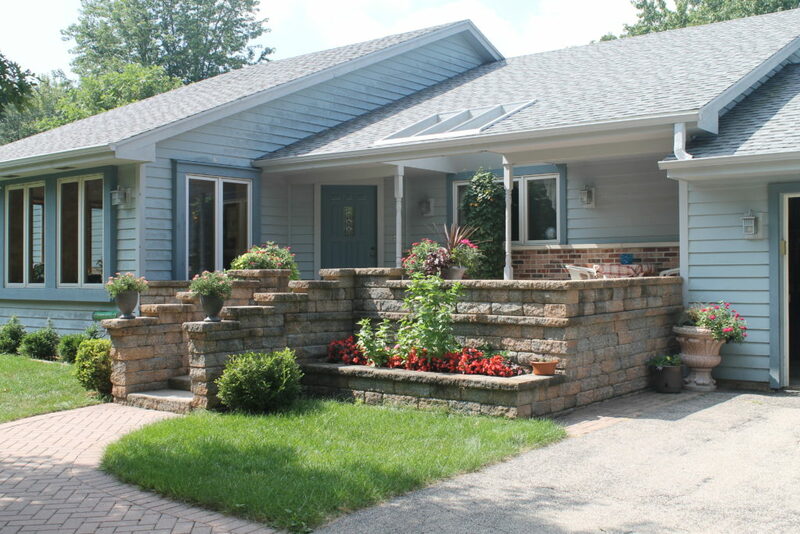 Make a few simple changes to the front of your home and your curb appeal will increase favorably! 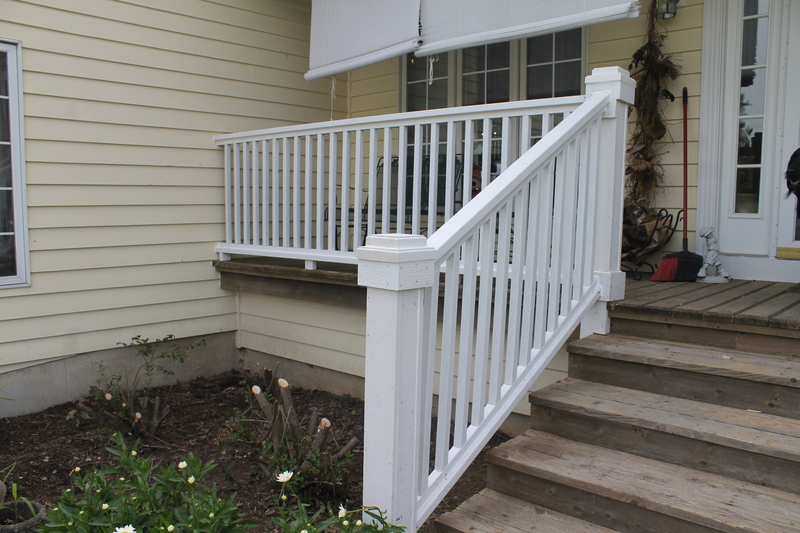 Check out our gallery for other exterior fix ideas. Do you have a safe home? Have you installed a system to ensure a safe home? Our basic needs being met gives us a sense of well-being. One of those higher needs is to feel safe. If we don’t feel that we have a safe home, then other things feel off center. If you have what you think is a safe home, are you sure. I recently read this article from Remodeling. 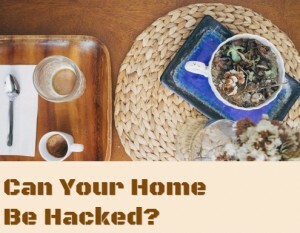 The article gives 5 key tips to protect your home from hackers. And you thought only your computer was at risk! Now you can have an app on your phone that lets you check if your garage door is open or closed when you are at work. Your thermostat can be controlled from your phone. The lights in your home can be turned on or off. Not to mention, your wi-fi signal could be allowing your neighbor to surf the web at your expense. Change your Passwords – we have computers, phones, software, and apps that require passcodes. We change the password to our own. How often are they the same thing for everything? Don’t make that mistake. If your item comes with a factory passcode, see if you can change it. Be Cautious – Do you have family and friends or contractors who access your home occasionally? Don’t give them the main passcode if you can create a guest passcode. We all know the terrors of the credit card hacking in major retail chains, don’t let a hacker get into your system because a family member or repair person accidentally left your passcode unprotected. Remodeling – What is worth it? A couple of recent articles sparked a thought – Remodeling – what is it worth spending money on for your home? Another article asked, if you were gifted money for a remodel, would you spend it on making your home more energy efficient or on making a room look more current – like a bathroom or kitchen. You can help the energy efficiency of your home because the technology of the window has improved in the past 25 years. 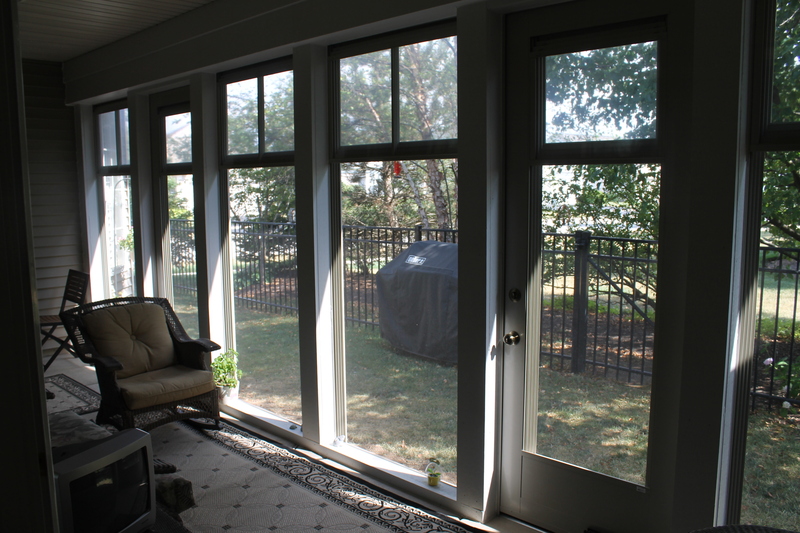 You can update the look of your home by adding new interior trim around the newly installed windows. If you need assistance trying to determine what remodeling costs would it be worth for your home or the best avenue to follow, please give us a call. Winter Begins – are you prepared? Winter begins – December 21st – are you prepared in your home? Here is an article from Kiplinger that shared the 12 items that you should do to prepare your home for winter. In case you didn’t do them, you can review them now. Check your furnace/AC – if you call when there isn’t an extreme temperature drop, you can probably avoid the “OMG, my furnace went out and it is -15 degrees outside” charge. One thing that you should be doing monthly is changing your filters, especially if you are using the thin fiberglass filters. Flip your ceiling fan direction – according to the energy star, fans are for the comfort of people, not the air movement. 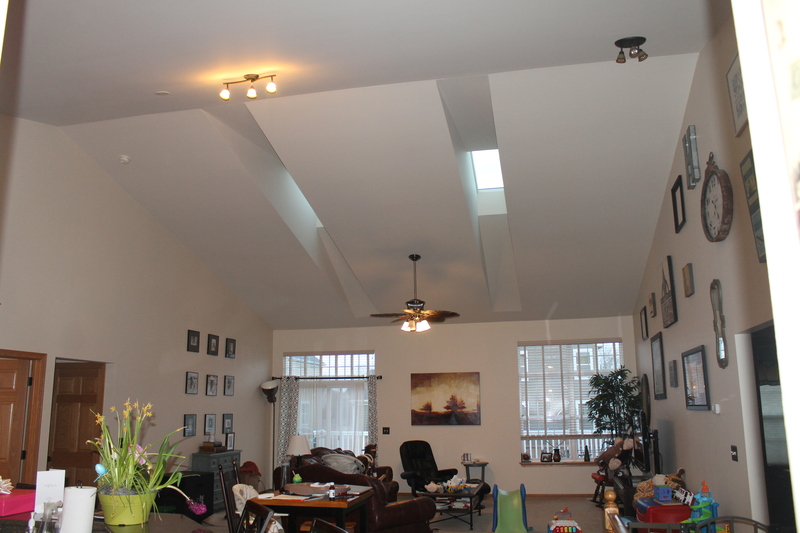 We use our ceiling fans all year long to help circulate the air, especially in the rooms with volume ceilings. We also leave the blowers on our furnace on all the time to help the air circulate between the basement and the upper floors. View this YouTube video to check on the direction your fan blades should be going right now! Caulk around windows/doors – If you can hold a candle in front of your window and the flame extinguishes, you might have a leaky window. Apply some caulk around any gaps. Read more here. 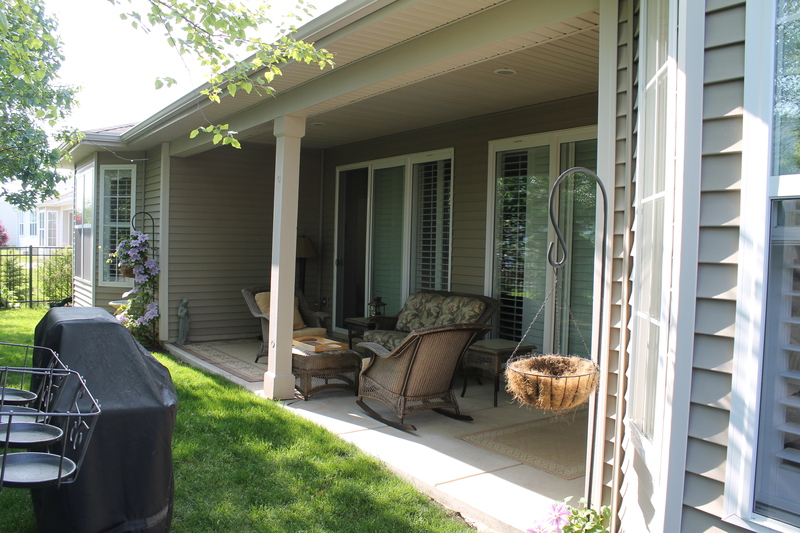 This home in a 55+ community had a wonderful covered patio area. But summer bugs and wind and rain could make the patio, while very inviting, not very usable. We enclosed the area with window units and two doors to make the area usable in all but the coldest weather. Before Picture – lovely covered patio. 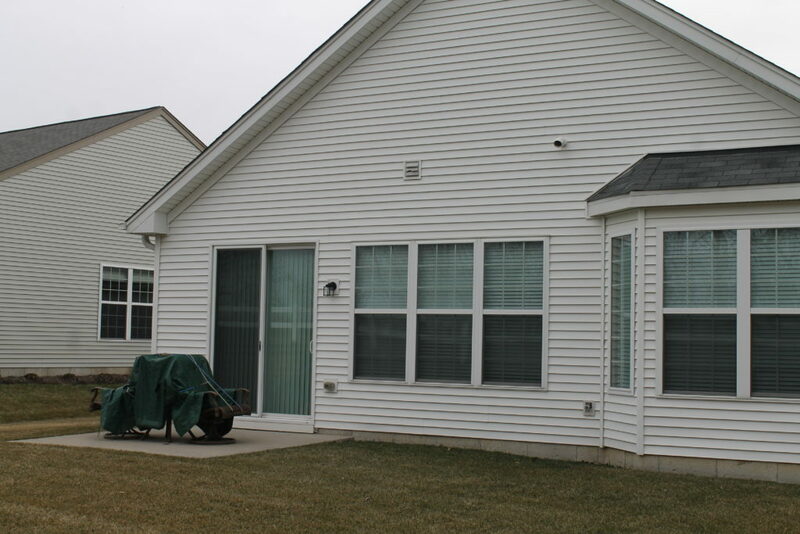 After picture – enclosed space, protected from wind, rain and snow. Just add a small space heater, close down the panels and voila! You have a space to read and entertain that is bug-free, and comfortable 90% of the year. Do you have a space that could be easily enclosed so that you could use the space throughout the year? Let us know if we can help.